The letter of resignation is the letter you prepare to give to your boss when you leave the workplace. The most important step of a professional leaving from business is the resignation letter. Employees ,with new business opportunities offered to employees in the competitive business world, are considering resigning. In particular, if you are leaving a company or position that you have been working for a long time, resigning whatever the circumstances, is a very difficult process. When deciding to resign, you should evaluate the advantages and disadvantages of your position. How to Prepare a Resignation Letter? When entering the letter of resignation, you must specify your institution and your position with the name and surname. You should write your letter with a positive style. You should not criticize the job and your employer in the letter of resignation. However, you can write exactly why you want to leave the job kindly. 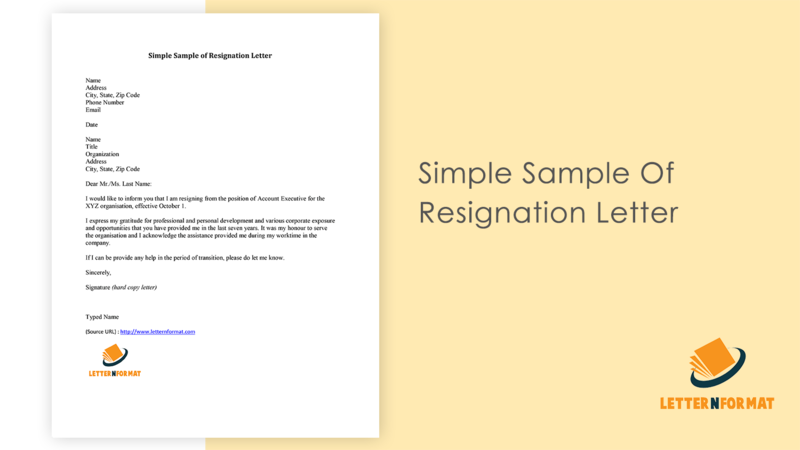 When should you give a letter of resignation? You should tell your manager about your intention of leaving before you give your letter. In this way, your manager may take action for the person who will take your place or take over your business. During this time, you should tell the person who takes care of the method and intricacies of your work. You have to make your resignation on time. It is very important that you declare your decision to resign some time ago. In this way, you can finish your unfinished works and get the time you need to look for a new job. What are the points to pay attention to in your letter? Your employer is likely to keep your letter of resignation in your file, and may be dispatched if another company requests a reference in the future. As such, a badly written or extremely critical resignation letter has the potential to affect your career immediately after your current job. If you intend to quit because of a number of negative events, you should express it in a polite way. Also you should thank your manager for supplying contribution you. Create a detailed letter of resignation by explaining why you will be leaving the company and serving the notice period. You must clearly and politely explain that you are leaving. You should write these at below. Please accept my this letter as formal notice of my resignation from CCR Company. My last day with my current business will be 16 November 2018. When I started to work at 15 May 2013 so I would like to thank you for the 5 years. Also I would like to thank for your contribution to my career and personal development. During this time I have enjoyed so much for working with your team. I would like to request that my resignation be accepted and I kindly request you to take neccessary action.